Grid cells and place cells are specialized neurons that allow the brain to create a map of the outside world in which one navigates (Nobel Prize 2014). This brain GPS system is built on grid cells’ strikingly regular pattern of activity. This pattern provides the metric coordinates to “triangulate one’s position” which is decoded by the place cells providing the “you are here” signal. 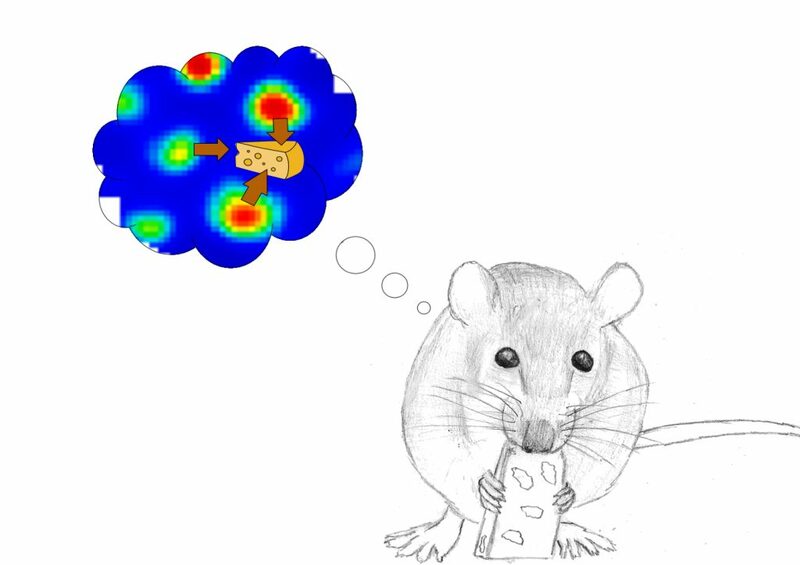 A team of scientists at the Institute of Science and Technology Austria (IST Austria) now shows that grid cells go beyond providing simple spatial coordinates: They also carry information related to goals, deforming their activity fields to provide rats with a “treasure map” of where to reach goals, like hidden rewards. This is the result of a new study by the research group of Jozsef Csicsvari, Professor at IST Austria, including co-first authors Charlotte Boccara, now at the University of Oslo, and PhD student Michele Nardin, published today in the journal Science.